* I hope everyone will take a few minutes to read this excellent article by Moises Velasquez-Madoff titled, “What Biracial People Know.” It is the perfect antidote to what Steve Bannon is trying to do to this country. What President Trump doesn’t seem to have considered is that diversity doesn’t just sound nice, it has tangible value. Social scientists find that homogeneous groups like his cabinet can be less creative and insightful than diverse ones. They are more prone to groupthink and less likely to question faulty assumptions. What’s true of groups is also true for individuals. A small but growing body of research suggests that multiracial people are more open-minded and creative. Here, it’s worth remembering that Barack Obama, son of a Kenyan father and a white Kansan mother, wasn’t only the nation’s first black president, he was also its first biracial president. His multitudinous self was, I like to think, part of what made him great — part of what inspired him when he proclaimed that there wasn’t a red or blue America, but a United States of America. As a multiethnic person myself — the son of a Jewish dad of Eastern European descent and a Puerto Rican mom — I can attest that being mixed makes it harder to fall back on the tribal identities that have guided so much of human history, and that are now resurgent. Your background pushes you to construct a worldview that transcends the tribal. * The folks at NBC’s First Read took a look at Trump’s history of lying and said, “Welcome to our post-truth presidency.” Then they pointed out why that is so dangerous. This all raises a question: What happens when a president cries wolf so many times? Can anyone believe him — even on matters like wars, national tragedies, and natural disasters? As NBC’s Benjy Sarlin wrote over the weekend, Trump alleged what would be an historic scandal about Obama, and barely anyone reacted with urgency. What, Sarlin asked, does that say about the White House? About his capacity to relay accurate information to the public? And his propensity to believe conspiracy theories? On “Today” this morning, White House Deputy Press Secretary Sarah Huckabee Sanders said this about Trump’s wire-tapping charges against Obama: “I think the president firmly believes it did [happen].” And isn’t that the biggest problem of all, especially when no one can produce any evidence? * Sean Spicer thought he had a cute object lesson for his press conference today. That could pose a problem unless phase 2 & 3 don’t involve any pages. * Dave Weigel has a good run-down of the fury unleashed on the right about the Republican health care bill. Conservative pressure groups and policy analysts, who’ve called for a full repeal of the Affordable Care Act, have judged the American Health Care Act — and found it badly wanting. Since the House GOP’s replacement plan was revealed Monday night, they’ve issued blistering statements, ticking off the ways they believe the party failed them. At the Conservative Review, a site edited by the influential radio host and author Mark Levin, the bill has been dubbed “RINOcare,” incorporating an acronym for Republican in name only. Shhh…no one tell him what Boehner said about that. 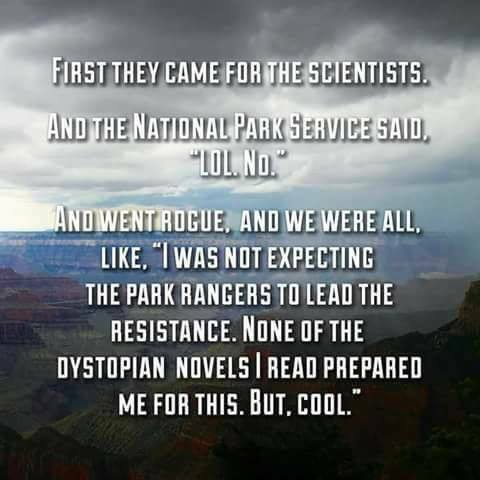 * Finally, oh how those dystopian novels failed us.